Stay tuned for upcoming events for Pakistan Table Tennis Super League in near future. 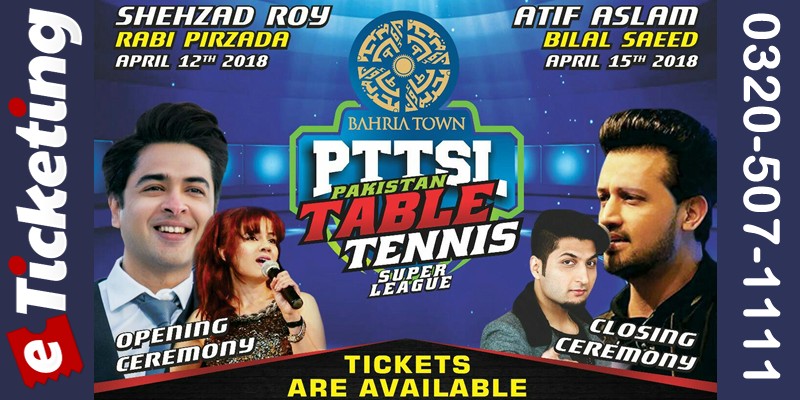 The first Pakistan Table Tennis Super League organized by Pakistan Table Tennis Federation (PTTF) would be commenced from April-12 at Islamabad. President Table Tennis Federation (PTTF), Khawaja Hassan Wadood told APP here on Saturday that the PTTF had decided to conduct table tennis super league like PSL cricket in the country. He said that ten table tennis teams from across the country included Rawal Jugni, Peshawar Dilawar, Faisalabad Sherdil, Quetta defender, Multan Sufee, Karachi Kararay, Lahori Ustaad, Sargodha Shaheen, Bahawalpur Nawab and Islamabad Metropolitan would participate in the event. He said that the event would be held at Pakistan Sports Board Islamabad from April 12 to 15, 2018. There would be no single & double event while only team event on davis cup basis would be held. Best Viewed at 1024 x 768 pixels and above. This Page loaded in 0.02528 seconds on Tue, Apr 23, 2019 (21:05).